German software maker SAP found compliance breaches and "indications of misconduct" in US$50 million of public sector deals in South Africa involving the Guptas, friends of former president Jacob Zuma accused of corruption, it has revealed. Outlining the findings of an external legal review of five software deals with state-run electricity firm Eskom and rail-freight company Transnet, SAP said three executives suspended last year had resigned without severance pay. Eskom said on Thursday it would launch its own probe into the SAP contract. SAP admitted it paid more than $9 million to intermediary companies controlled by the Guptas. One of the Gupta brothers, Atul, was declared a fugitive from justice and fled South Africa after Zuma was forced out of office by his party last month. However, the company said there was no evidence of direct payments to South African government officials. 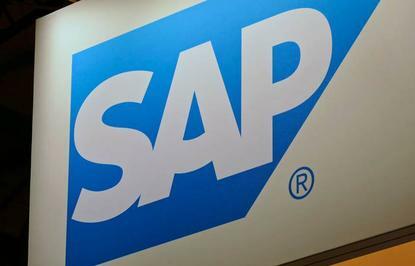 As a result of the investigation, SAP said it had tightened up its compliance and anti-corruption procedures, including banning sales commissions on public sector contracts in countries with poor graft ratings, including South Africa. "The investigation has confirmed that even strong compliance systems are vulnerable and therefore require eternal vigilance," SAP board member Adaire Fox-Martin said in a statement. "While we cannot turn back the clock, we can promise to do better." SAP shares were little-changed at 86.91 euros, up 0.2 percent at 1319 GMT. A spokesman for the Guptas was not immediately available for comment.